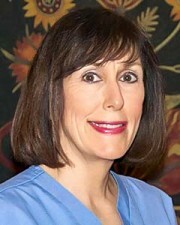 Dr. Hope Berman, DMD is an experienced dentist with over 30 years of practice in the Haverford area. She is dedicated to helping her patients achieve and maintain healthy, beautiful smiles. Dr. Berman is trained in digital dentistry, Invisalign, cosmetic and general dentistry. She is a proud graduate of the University of Pennsylvania and the University of Pennsylvania School of Dental Medicine. Dr. Berman has always found fulfillment in the creation of beautiful things. Her artistic talents and abilities come into play when creating beautiful smiles for her patients via cosmetic and restorative dentistry.